The Rabbi with a Blog (Rabbi Jason Miller): Will Smartphones & Handhelds Lead to an Educational Revolution? Will Smartphones & Handhelds Lead to an Educational Revolution? In a recent blog post, my colleague and teacher Rabbi Hayim Herring writes about the recent Fast Company article that questions whether the introduction of smartphones and handheld computers into classrooms worldwide will be the start of an educational revolution. Anya Kamenetz, author of the book DIY U: Edupunks, Edupreneurs, and the Coming Transformation of Higher Education wonders "How technology could unleash childhood creativity -- and transform the role of the teacher." Is the use of handhelds in the classroom leading to an educational revolution or is it just another fad? Educators are eager to integrate the latest technology into their classrooms, but they must ensure that they have already figured out the right application to utilize the technology. American youth will be impressed to see the latest handheld and wireless gadgets in use at their schools, but if they're not wowed with the way they are being used their attention will wane. The article, entitled A is for App: How Smartphones, Handheld Computers Sparked an Educational Revolution, claims that studies show that technology can actually make kids smarter. It then goes on to describe several new learning devices which are already having impact on how children learn in different cultures and among different socio-economic communities. The author claims the bottom line is these technologies work anytime, anywhere. 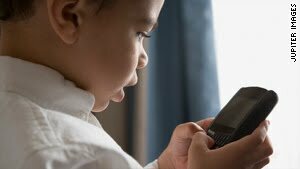 Young children today are picking up mom's or dad's iPhone, Droid or Blackberry and familiarizing themselves with these pocket-sized wireless devices. "A computer on every desk" is beginning to mean that more first-graders will have a notebook computer on the desk in their bedroom. So, when these kids walk into a classroom the expectation will be that technology is part of the educational plan. It was once impressive to see a computer workstation in each classroom, but in 2010 each student needs to be plugged in from their seat. And this will translate to religious education as well. The rabbi may well ask the students to take out their smartphone and Google the week's Torah portion. As the article makes clear, the implementation of smartphone and handheld technology in the classroom is already a common idea among tech-driven educational entrepreneurs. And it will imagine a new role for teachers. "The main transformational change that needs to happen is for the teacher to transform from the purveyor of information to the coach," says Seth Weinberger of Innovations for Learning, creator of TeacherMate. As Richard Rowe of Open Learning Exchange puts it, "Up until very recently, most communications were hub-and-spoke, one to many. The Internet is a many-to-many environment, which is in the early stages of having a major impact on education. It involves a fairly major change in the concept of what education is, which is one of the reasons we use the term 'learning' as distinct from 'education.' It's student-centered and student-empowered."